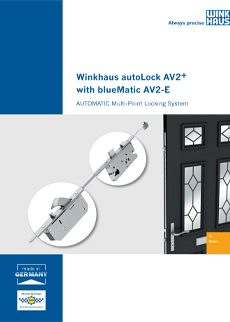 Here at Vista, we offer AV2-E motorised locks by renowned lock specialists Winkhaus. 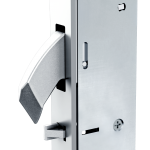 The AV2-E is an automatic multi-point locking system. 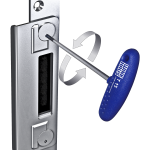 It employs a motorised function for opening doors and automatically locks via the use of a latch and two hooks. Doors using these locks are opened remotely via a convenient access control system, or with a key. 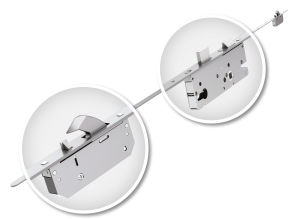 AV2-E motorised locks are rigorously secure, thanks to an arrested locking bolt which has 25 mm visible width and claw action. When used with a main deadbolt, the motorised automatic locking system has been granted ‘VdS class A’ quality assurance. Where are they recommended for? They are ideal for use on communal entrance doors, where a new or existing intercom or push button locking mechanism is being used. Both of these are regularly found upon commercial and private properties. However, their ability to openly remotely means they’re a useful solution for anyone that finds getting around the house especially difficult. We at Vista have previously helped to provide them to homeowners suffering from these issues.